Time to march again; organize the neighborhood children’s crusade. But, don’t forget to remind your child of the defeat of the crusaders and of the sack of Constantinople; facts left out of many Western histories. Is your child’s room a mess? Compare that to the pillaging of Constantinople and see how much time and effort it takes to get all in order again. Let your child see you “steal” several of his prize possessions and hide them away; feel the grief and sadness together (then return the “lovies”). Visit the Walters again; see the suits of armor and other artifacts from the Middle Ages in the West. Build a castle from blocks or poster board. Have a “feudal day” with girls dressed in long skirts and tall, pointed hats, boys in armor and shields, no electricity, no silverware except a knife, roast your dinner in the fireplace or over the grill. Try a visit to the Medieval Times at the mall. Watch the old “Robin Hood” movie together; Richard the Lion-hearted was gone because of the Crusades. Prayer: Lord, help us never to hurt others in Your name. _____ French children sold as slaves. _____ Pope Urban calls on Christians to take Jerusalem back from Moslems. _____ Crusaders steal riches of Constantinople. _____ Mohammed born in Mecca. _____ Richard the Lionheart talks to Saladin. _____ French children march to the sea to board ships for the Holy Land. _____ Third Crusade with Richard, Frederick, and Philip sets out. _____ Jerusalem captured back from Moslems the first time. _____ Richard the Lionheart captured and imprisoned. _____ People sew crosses on their tunics. _____ Moslems capture Jerusalem for the first time. _____ Frederick Red Beard of Germany drowned. _____ Pirates capture French children at the seashore. 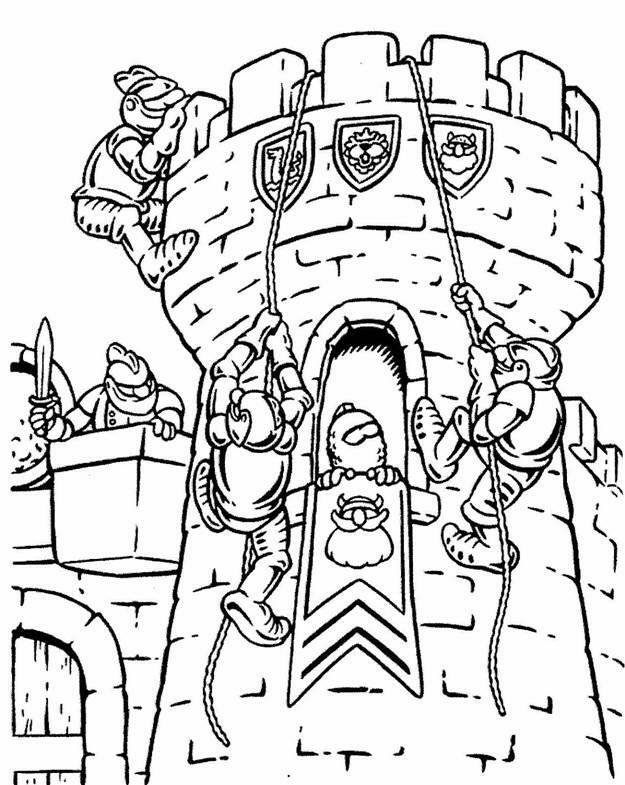 _____ Crusaders build castles in Jerusalem. _____ Saladin allows Third Crusaders into Jerusalem in peace.